Powerful yet quiet fan provides tremendous air movement – both hot 100° or cool air! Fits virtually every 48v Golf Cart model including Club Cart, EZ GO, and Yamaha. Uses 48V Patent Pending PTC Heaters which are safer, more efficient and longer lasting than traditional coil electric heaters. Get a timed blast of maximum heat and air flow for 45 seconds to conserve power. 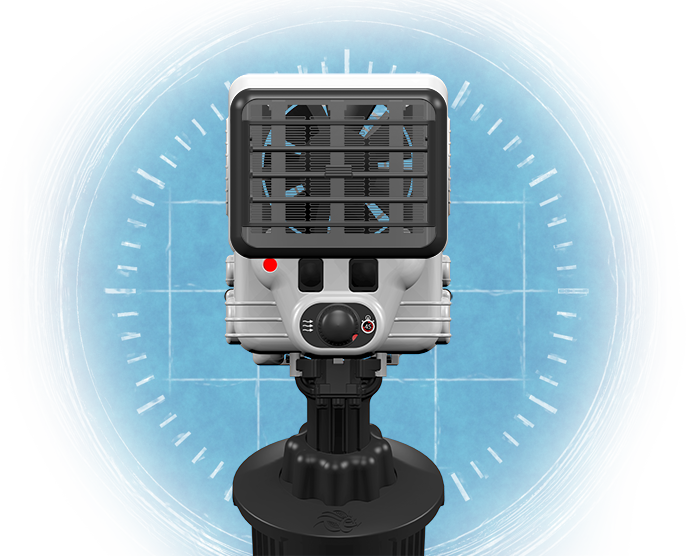 Allows you to direct the air exactly where you need it: to your face, feet, or both! Made of durable, high impact, UV-resistant plastics with weather proofing protection. 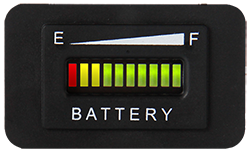 Prevents on-course battery failure as the unit will self-protect by shutting off when it reaches a pre-set battery voltage. Prevents electrical spikes on startup that drain the battery. 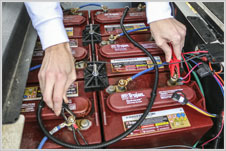 Prevents unnecessary battery drain as the Climate Caddy only operates while you are in the cart. 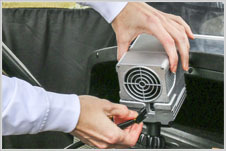 The Climate Caddy fits virtually every 48 Volt Golf Cart model including Club Cart, EZ GO, and Yamaha. The unique adjustable cup-base can accommodate any cup holder, while the Monarch Cord Keeper changes height to fit any battery compartment. To install, simply slip the lightweight unit into the cup holder and connect to the battery. It’s quick and easy! Please Note: Remove or turn off the Climate Caddy when Golf Cart is not in use. The Monarch Cord Keeper is included for a safe and easy install. 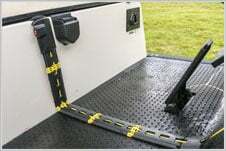 The unique folding design holds the power cables flat on the floor, and adjusts to fit virtually every golf cart model. No tripping over cords! The safe and convenient Alligator Clips make it easy to connect to the battery.